Gardaí are investigating an incident on the back of Errigal road between Dunlewey and Glenveagh on Friday afternoon where a van was set on fire. Gardaí and a fire crew from Gaoth Dobhair attended the scene where a Volkswagen Caddy van was alight. The road was closed for half an hour due to the smoke density. It has emerged that the driver or occupants of the vehicle were not at the location and Gardaí are now anxious to trace the driver and/or occupants. 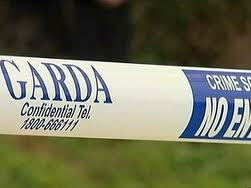 Gardaí are anxious to heard from anyone that was travelling on the road on Friday and noticed anything suspicious.